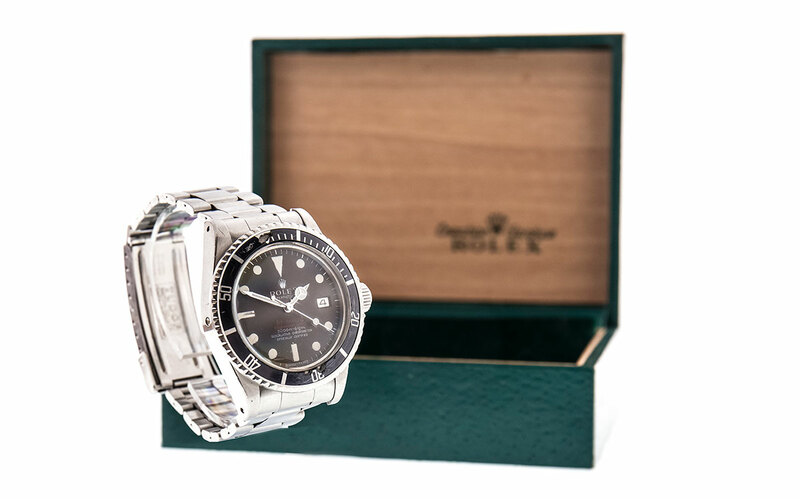 A Scottish diver was on the crest of a wave today as his 40-year-old watch was snapped up for £37,000 at McTear's, six times its £6,000 estimate. The Rolex Sea-Dweller Submariner Double Red is one of the rarest watches on the planet and was tested in conjunction with the US Navy in the 1960s. When US Navy diver, Bob Barth, noticed that other models had problems with the face popping off due to decompression issues, he helped to develop a new watch that would incorporate a unique gas release valve. Shortly afterwards the Rolex Sea-Dweller was born. The Double Red model was only available for ten years, which means the timepiece is now sought after by collectors across the globe. Commenting on the sale, Amy Cameron from McTear’s said: “Although Rolex has been one of the benchmarks for quality timepieces for many years, there are certain models that lift the brand to another level. The Sea-Dweller Double Red is one such watch, so when it came to us we knew there would be huge interest in the timepiece." Although many high-end diving watches are bought for show and never actually see the ocean, this particular timepiece has been tested to its limits in some of the most hostile ocean environments on the planet. The seller, who wishes to remain anonymous, bought the piece to use as his everyday watch while working on a Norwegian oil rig. Over the past 40 years, he has worn the watch on dives in the North, Mediterranean, Red and Caribbean Seas as well as the Indian Ocean and the Great Barrier Reef, without it ever losing time. The watch was one of the highlights in McTear’s Watches Auction on Tuesday 6 November. In addition to several other Rolexes, the 78 lot auction included timepieces from Omega, Tag Heuer, Longines, Breitling, Cartier and Jaeger Le Coultre. Prices quoted include buyer’s commission and VAT thereon. Do you have a watch, or watches to sell or are you curious as to potential value? Contact sarah@mctears.co.uk for free, no obligation auction estimates, or come along to the Valuation Days at McTear’s on Tuesday, Wednesday and Thursdays for complimentary auction advice.